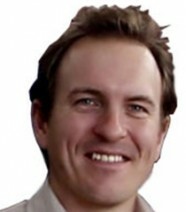 Daniel McGahey is Regional Director Africa for the INTASAVE-CARIBSAVE Group, an NGO working on climate change and sustainable development in eastern and southern Africa. Leading INTASAVE’s Africa programme, Daniel has been instrumental in establishing INTASAVE Energy as a social enterprise to deliver solar energy for individual and community development in Kenya (http://intasave-energy.org/who-are-we/executives-and-advisors/). Daniel has a DPhil from Oxford University Centre for the Environment and is an Associate Member of the Institute for Environmental Management and Assessment (AIMEA).